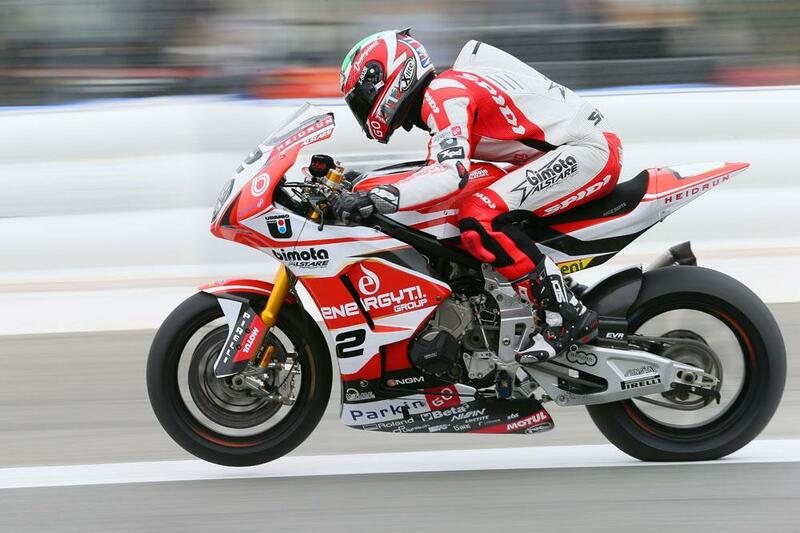 Bimota have now been officially blocked from further competition in the 2014 World Superbike championship, after failing to make the minimum production quantities needed for FIM homologation. Under FIM rules, which were significantly relaxed at the start of the season to allow the BMW S1000RR-englined BB3 to compete, they were required to have 125 bikes within the first four months of the start of the season, with 250 produced by the end of the year and 1000 by the end of the subsequent year. The team ran by former Suzuki boss Francis Batta’s Alstare outfit have had a successful debut year, taking points scoring finishes in the majority of their races with Brit Christian Iddon and Ayrton Badovini onboard, despite being unable to score points. In a statement released by WSB organisers, they confirmed that the bike will now not be eligible for further competition. However, the news may be good news for the MCE British Superbike series, where French teenager Christophe Ponsson is already riding on the team’s junior development bike, and Iddon and Badovini are rumoured to be set to make an appearance in the final rounds of the series.